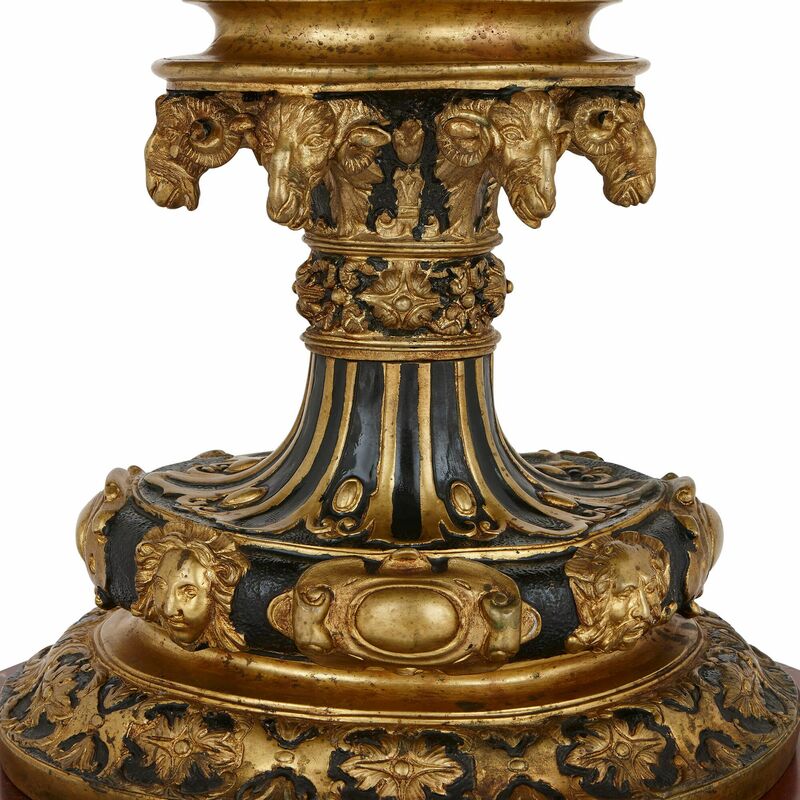 This superb bronze vase is an opulently-decorated piece, featuring finely-cast Baroque style ormolu detailing on an inky, dark painted ground. 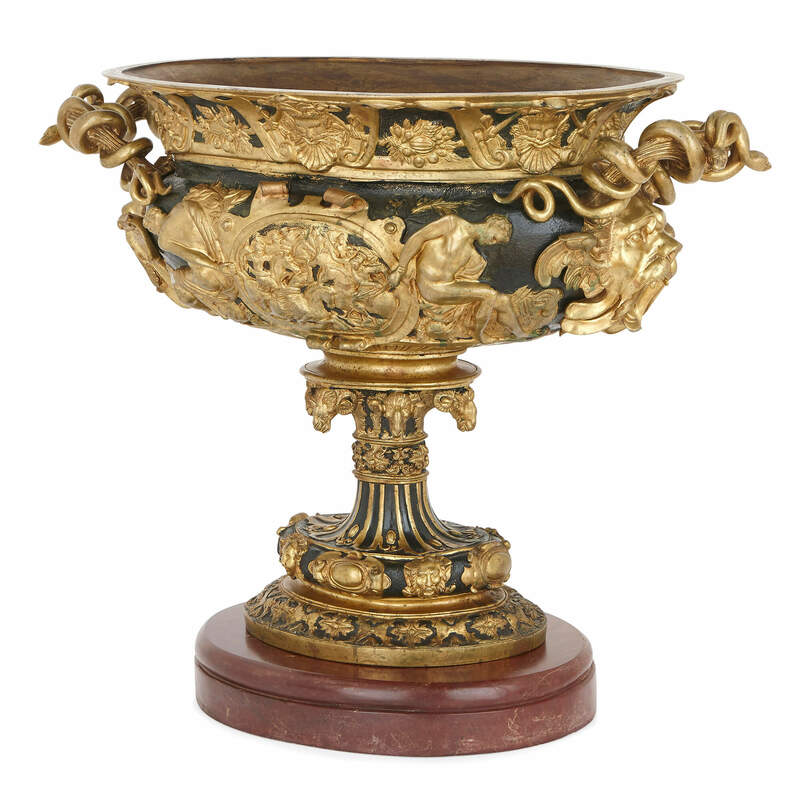 This vase is a wonderful work in the opulent Baroque or Louis XIV style, and will make an excellent addition to an interior setting. 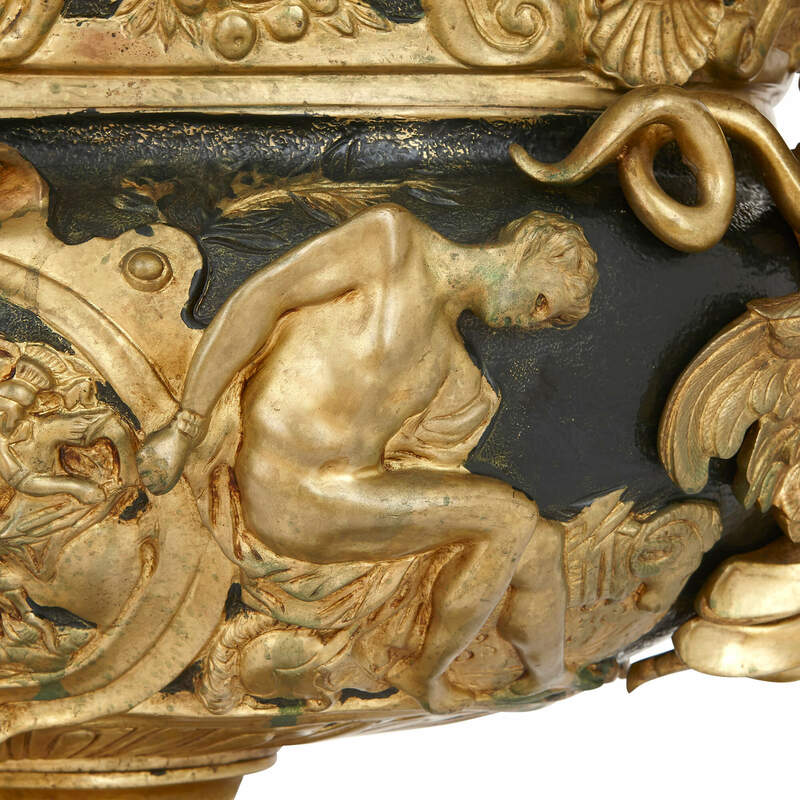 The vase is large in size, measuring 64cm (25") in height and 77cm (30") across, and is decorated throughout with ormolu Neoclassical style motifs in relief on a black painted ground. 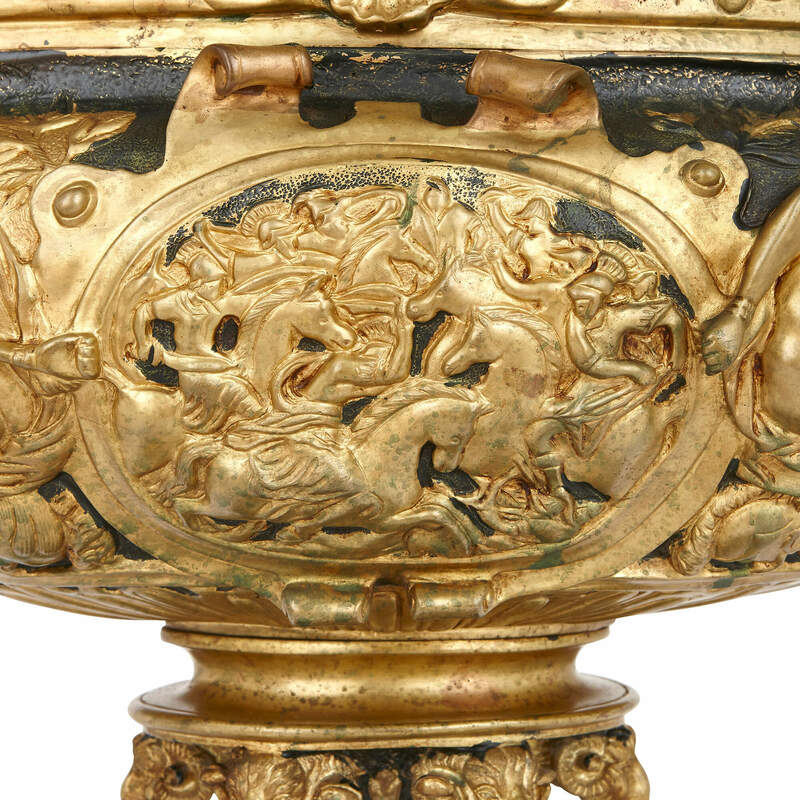 The vase's spreading socle is set with ormolu masks, leaf motifs and rams' heads (bucrania), while the body of the vase shows a relief plaque of figures on horses with twin male Classical figures at either side and a band of masks and fruit above. 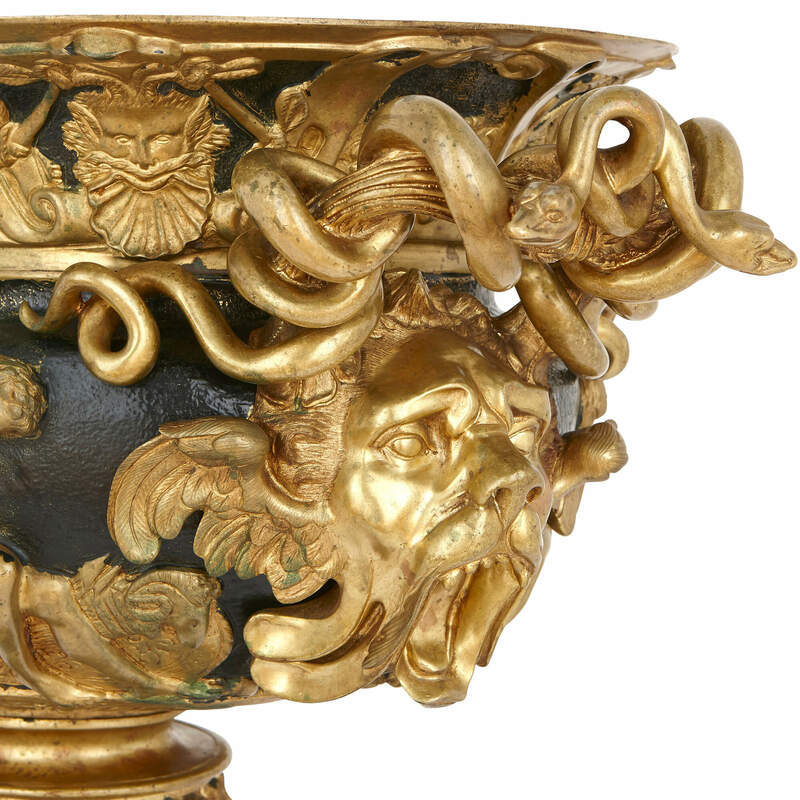 The vase is mounted at either side with twin handles in the form of mythical creatures' heads and twisted serpents above. 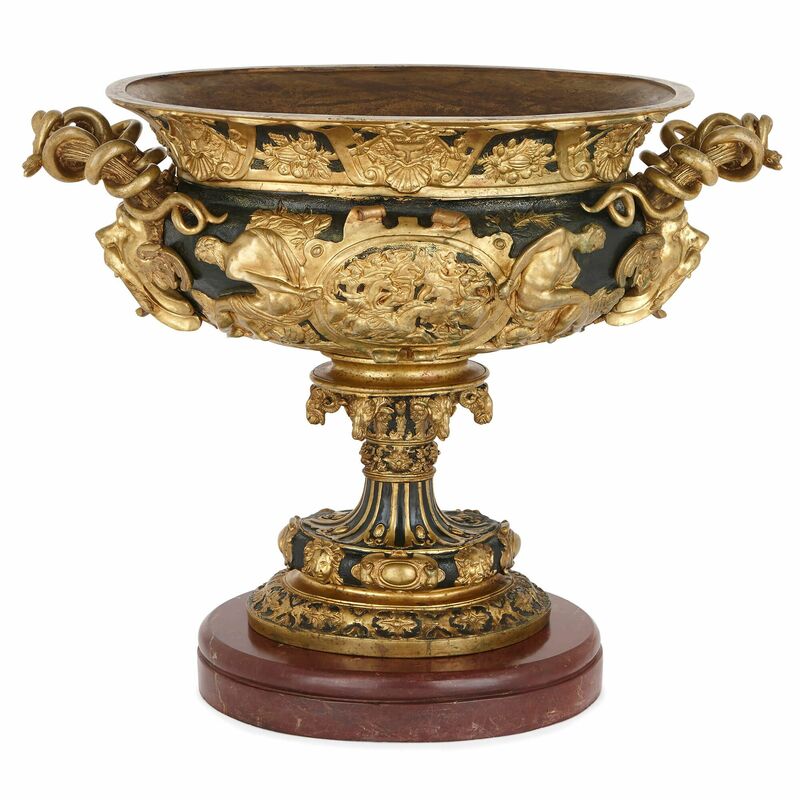 It is set on a round red marble base.